Of the leading causes of auto accidents, no matter the Michigan accident type, drunk driving pretty much steals the spotlight. However, one cause usually goes unnoticed: drowsy driving. Nevertheless, according to the National Sleep Foundation, drowsy driving is almost as big a monster as drunk driving. For example, getting behind the wheel when you’ve been wide-eyed for 18 hours is the equivalent of driving when having an alcohol level of 0.05 in your blood (you’re considered drunk with an alcohol level of 0.08). When you drive after 24 hours of sleeplessness, it is like having an alcohol level of 0.10 in your blood. A Michigan car accident lawyer at our firm can help show you how to file a Michigan auto accident claim. Additionally, statistics show that 60% of about 168 million drivers or US citizens admit having driven vehicles in the past year while drowsy. Furthermore, over a third of drivers claim to have ‘nodded off’ while driving at least once. In the year 2005-2009, drowsy driving is believed to have led to 4,400 vehicle collisions and over 5,000 fatalities. All this goes to show that drowsy driving is more dangerous than it is considered to be. A Michigan Car accident lawyer at our firm can help you understand the forms of monthly compensation that are available to you if you are injured in a car crash. Drivers ranging from 18 to 29 years are subject to drowsy driving for several reasons. One, although young adults are able to resist developing drowsiness easily, they risk falling asleep suddenly without warning. Two, young adults suffer greatly from sleep deprivation. Most adults only require about 7-8 hours of sleep at night. As for teens and young adults, they require a minimum of nine to have the same daytime functionality levels. However, they only get an average of 5 to 7 hours per night. The lost hours in sleep accumulate with every night that passes. This manifests when they get behind the wheel and places them at risk of sleeping while driving. Three, the early schedules that are synonymous with young people who attend school or go to work lead to drowsy driving. In addition, students in high school and college tend to study past their bedtimes. For young adults in their 20s, their work schedules may see them work the late night shift. 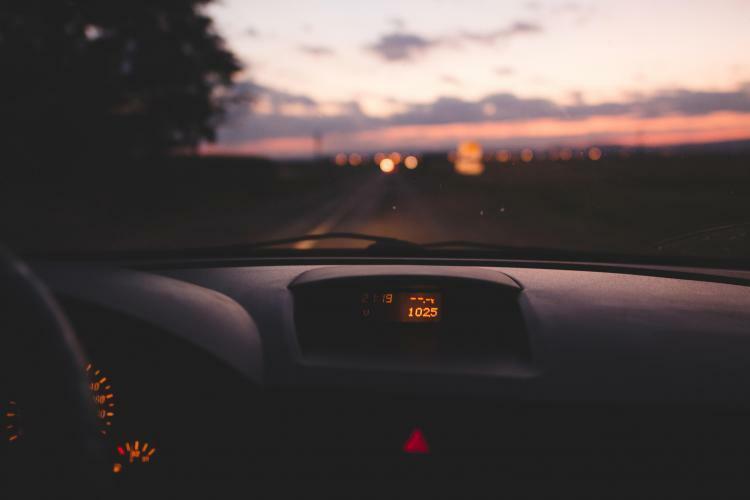 Drowsy driving is so prevalent in young people that it is believed drivers between 18 and 29 years lead to over half of the drowsy driving auto accidents in the nation. These drivers are regarded to be prone to drowsy driving. This is because they work under shift work schedules and they work for long days often extending into the night. They are often discouraged from driving between 12 am to 6 am and 2 pm to 4 pm because these are periods associated with drowsiness. These endure long journeys, which tire their bodies and disrupt their circadian rhythm, especially for international travelers. They experience jet lag that includes periods of sleep deprivation. This makes them susceptible to drowsy driving. Persons subject to this include airline personnel, flight crews, and pilots. Many sleeping disorders can lead to drowsiness. Sleep onset insomnia is a condition characterized by difficulty in catching sleep in normal sleep periods. Narcolepsy is the tendency to drift off when in a calm or relaxed state, even during the day when one is active. Millions are affected by sleeping disorders but they usually go undiagnosed, which puts them at risk of auto accidents due to drowsy driving. You find it difficult to focus, blink frequently and have heavy eyelids. You tend to daydream and your thoughts wander off. You struggle to remember the previous miles you just drove or the traffic signs you just encountered. Repeated yawning and rubbing the eyes. You drift from your lane. You are irritable and restless. Getting some shut-eye: This may seem elementary but the most probable reason for a drowsy driver is lack of sleep. Getting some sleep before getting behind the wheel will help decrease fatigue and drowsiness. Driving with a friend: A study by UCLA discovered that of drowsy driving incidents, 82% of them were caused by drivers in single-occupant vehicles. To counter this, bringing along a passenger can reduce the chances of drowsy driving. In addition, if the passenger is licensed, they can take over driving if you develop drowsiness. Make use of rest stops: There are many rest areas along the freeways where a driver can park their car and even take strolls. Some of these areas provide for drivers to stay for extended periods and take naps to emerge rested and ready to hit the road. Caffeine: Most drivers opt to take coffee, especially after power naps. The coffee takes effect 15 minutes later and they emerge energized. Other sources of caffeine include chocolate, different types of teas and carbonated beverages. However, caffeine should not be taken as a substitute for sleep. Fresh air: Carbon dioxide can lead to drowsiness, especially if the car is stuffy. The solution is to open the car windows or use the vent controls to allow air from outside to reduce the levels of carbon dioxide and lower drowsy driving. Let us reduce the occurrence of auto accidents in Michigan by ensuring we have enough sleep among other remedies. However, if you or a loved one was in an auto accident in Michigan and you are looking for a Michigan auto accident lawyer to represent you, look no further, Elia and Ponto will be more than willing to represent you and ensure that your rights are protected.